Here are some fantastic White Muslim Wedding Gowns that we came across recently. 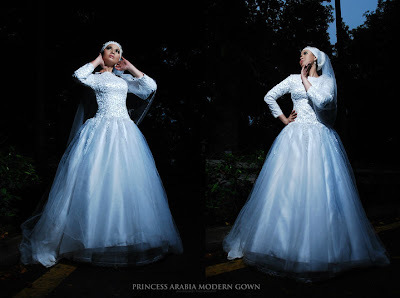 Some Muslim women prefer to wear white wedding gowns in the Western dress style on their wedding day. But finding a modest white wedding gown may prove difficult at most boutiques. 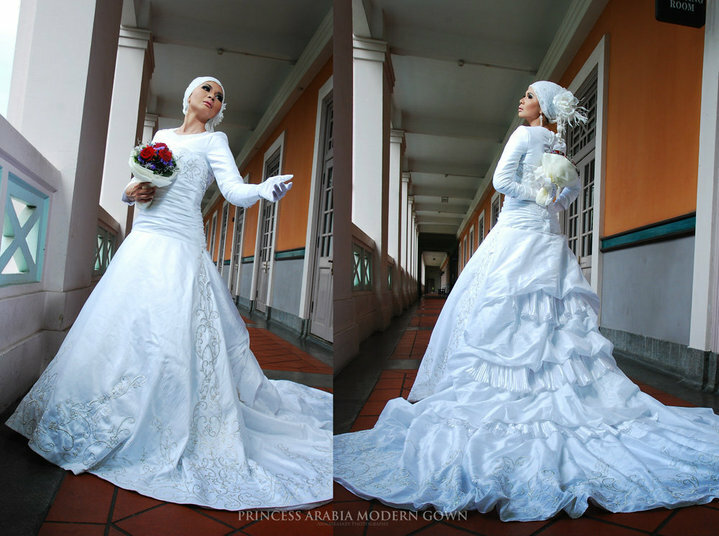 Hopefully, you are inspired by the White Muslim Wedding Gowns designs below. 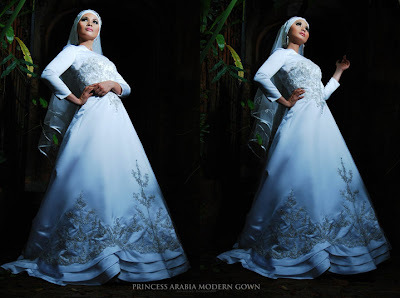 If all else fails, you can have your dream wedding gown tailored based on the designs below. However, the featured gowns below are available for rent (refer to the information below). with Fold Over Satin Band Trimmings. With Swarovski Crystal Bodice and Ruffle Chiffon Skirt. For a Bride who would Like to Look Like a Queen on Her Big Day! Hand beaded Taffeta Wedding Gown with Silver Embroidery. This Gown has a Gorgeous Train that is Detachable. & Tulle Over Satin Skirt. so that you look your fabulous self on your wedding day! Dear blogger. Thank you for loving our wedding gown designs. Just wanted to let you know that the gowns are now available for sale - made to measure. Ramadan Mubarak to all! That's good to know :) Thanks!